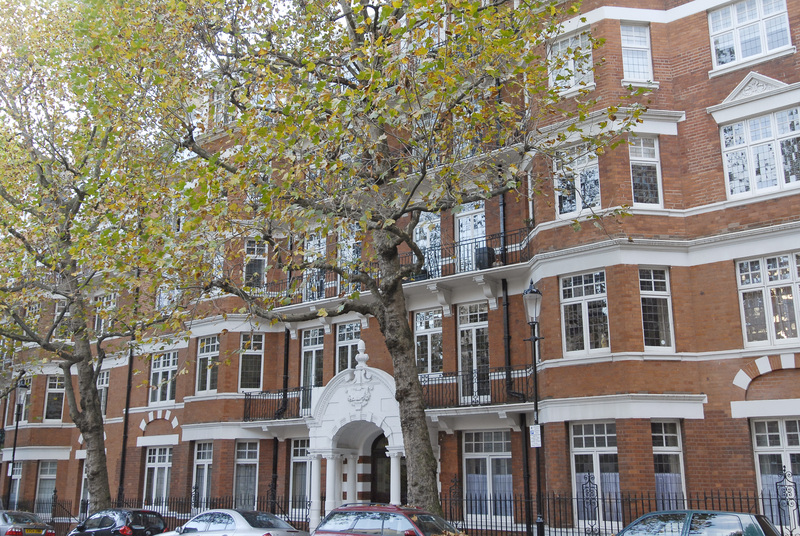 ESSA held another of their regular Mansion Block meetings recently with the focus on the history of Kensington mansion blocks. Representatives from five local mansion blocks gave talks on their individual histories on what was a fascinating evening. 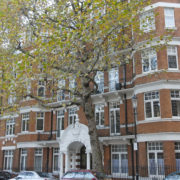 In the early-to-middle of the nineteenth century mansion blocks were looked on with disfavour by the middle classes due to their association at the time with accommodation for the working class and artisans. It was not until the latter part of that century, with the advent of blocks like Albert Hall Mansions in 1872, that they were recognised as a respectable, and indeed desirable, form of accommodation. In many cases they were replacing large villas, for example in 1904 in Abingdon Road the villas on the north and south sides of the road between Allen Street and Iverna Gardens were demolished and replaced with opulent mansion block flats. Within the ESSA area we have a wide range of these buildings from early examples such as Warwick Chambers, built in 1887, which is described in the Survey of London as ‘severe in appearance’, to luxury flats including of course the 21st century examples at Holland Green. Wynnstay Gardens, 1883-1885, was one of the early, luxurious developments, which according to the Survey was successful from the outset. Iverna Gardens, which started with blocks 1 and 2 in 1894 in order to avoid the changes in the London Building Acts, stopped work due to concerns that there was no market for this type of accommodation; however work on these two blocks started again later in 1895 when it was realised that this was no longer the case. As mansion blocks became more popular, developers experimented with new and innovative forms. Chatsworth Court, built in 1935, followed the example of Lawn Road flats in Haverstock Hill which had been developed just a year or so before and were inspired by the idea of community living. Chatsworth Court was promoted as a ‘country club in a garden with tennis and squash courts, a swimming pool, restaurant and meals delivered to your flat’. Huntsmore House, built in 1989, is a little further along Pembroke Road and is a good example of a block of flats dating from the second half of the 20th Century and designed by Norman and Dawbarn.